Includes a series of form and function cladograms. Integrates information about changes in structures or organ systems with physiological and behavioral characteristics of vertebrates in a phylogenetic context. Evolutionary context for anatomy, physiology, and behavior shows students how animals work and how they got to be the way they are. Cladistic classification reflects the widespread adoption of phylogenetic systematics (cladistics) as the basis for determining the evolutionary relationships of organisms. Integration of ecology, behavior, physiology, and morphology presents a view of animals as functioning systems. Updated information about conservation and endangered species status relates to the basic biology of the groups; stresses the importance of good biological information for management and legislation. Applies basic biological information about organisms in programs of captive husbandry and management of threatened and endangered species. 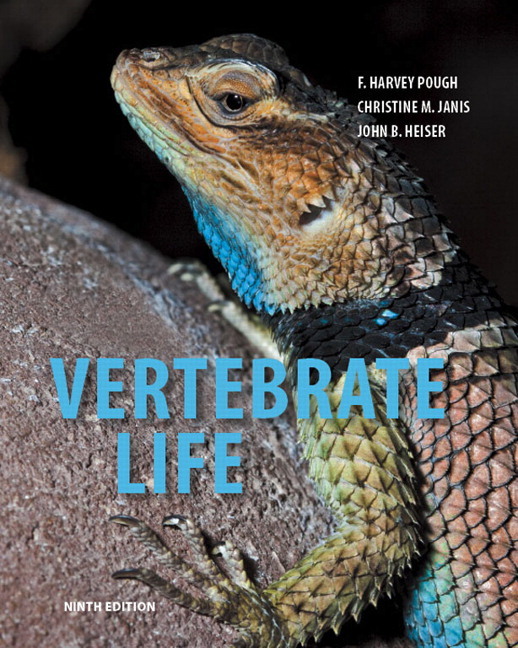 Extensive treatment is given to new molecular information about the relationships of vertebrates, and the biology of jawless vertebrates (lampreys and hagfishes) and their relationship to jawed vertebrates (Chapter 3). Content on sharks (Chapter 5) and bony fishes (Chapter 6) has been completely rewritten and bolstered with new topics. 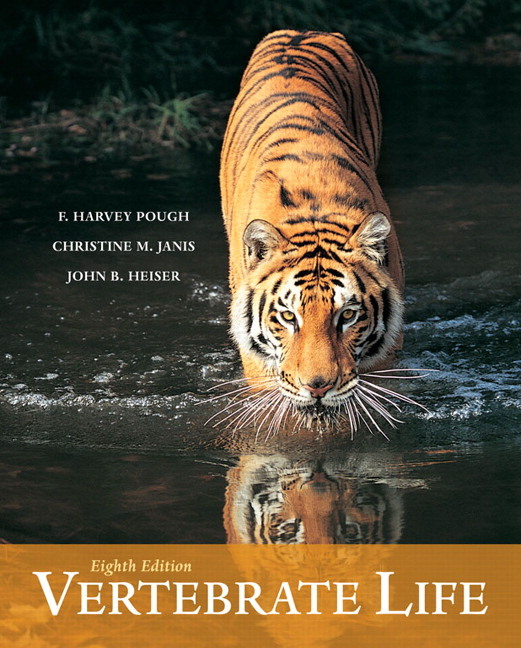 The most recent information about the conservation status of vertebrates has been included throughout the book. Specific threats, such as the Bd epidemic that causing extinction of amphibians and the effects of climate change, are treated at length (in Chapter 10, the World Organization for Animal Health the epidemics are ranavirus disease and chitridiomycosis; also, Chapter 25 covers other major threats–habitat destruction, pollution, over-hunting). Most of the literature citations are from 2010 and 2011. New Discussion Questions and relevant web sites are now listed at the end of each chapter. Suggested answers to the discussion questions are available for Instructors to download from the Pearson Instructor Resource Center. 35 new photos have been added throughout the text.